When I worked for NBC, it was easy. I had the power of a big institution and a big brand behind me. I could create the content, the big media machine would do the rest. 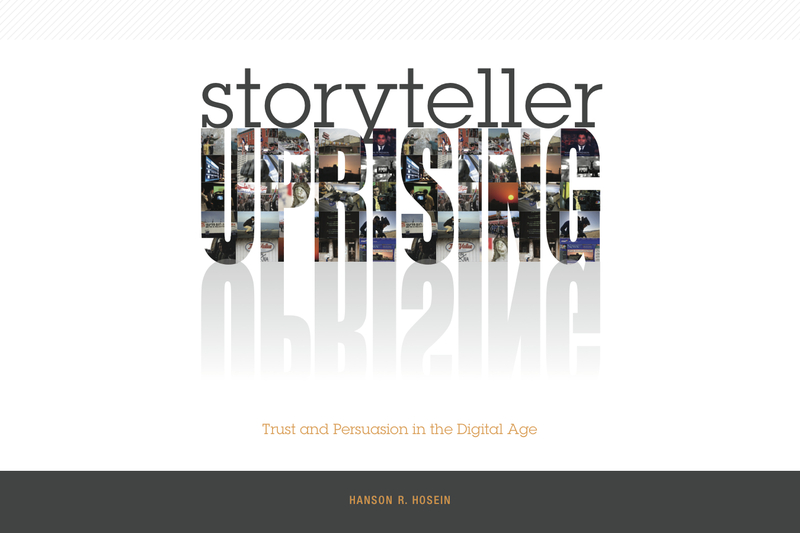 When I quit my job and went rogue to explore these emerging digital technologies and platforms, I had greater freedom to express myself and tell stories that mattered to me. But without that institutional support, I had to figure out how I was going to sell my product (and me) if I were going to put food on the table. In other words, I was editorial, marketing, and finance, all wrapped up into one. A little bit of fear of financial ruin led to a good amount of courage in developing this extroverted sales persona: that I could serve as a credible expert in a particular field without institutional backing. Even with the University of Washington’s powerful brand association, it was hard to abandon my newfound entrepreneurial instincts, especially with something as unorthodox as our digital media masters program. I was determined to sell, sell, sell so that as many people were aware of its awesomeness. I wanted it to be as well known as my own masters degree in journalism from Columbia University. This would give us the students, and resources to build a truly remarkable program. So, I used the same strategy that I employed with my films: create the content, share the content with community, sell the product. 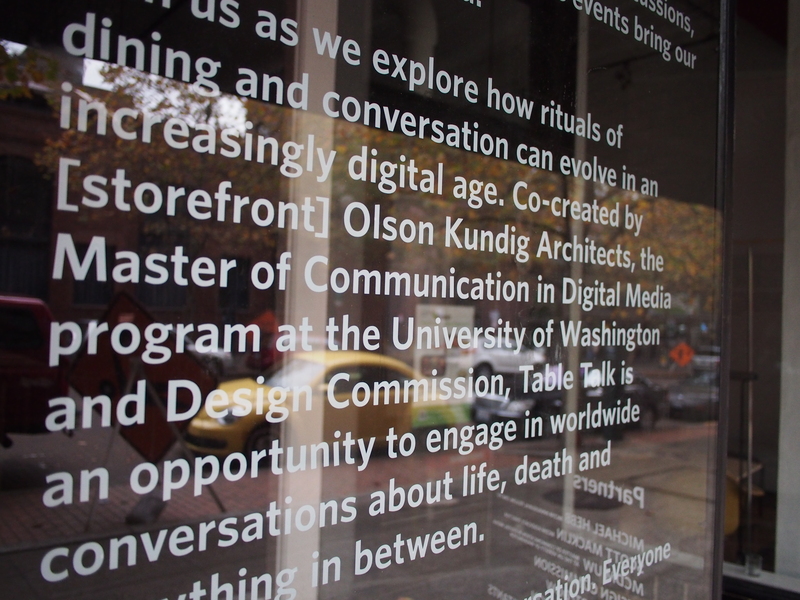 We now practice this program-wide; I’m especially proud of our “Table of Truth” installation in downtown Seattle, spearheaded by my colleague Scott Macklin (which doubles as a classroom) and what our co-conspirator Anita Verna Crofts has accomplished with our students and UW Election Eye. – Speaking at the Seattle Interactive Conference. Several people who attended my talk, or saw me at the event were specifically interested in applying to the MCDM. My books (which I use to promote the program’s mindset) sold out the first day. We also had many faculty, alumni and students participating at this well-attended event. – Keynoting a lunch for the Legal Marketing Association: a good opportunity for community building, especially with the legal profession (to which I very peripherally belong, given my degrees in law). – Serving as the digital media reporter on Election Night for Northwest Cable News. 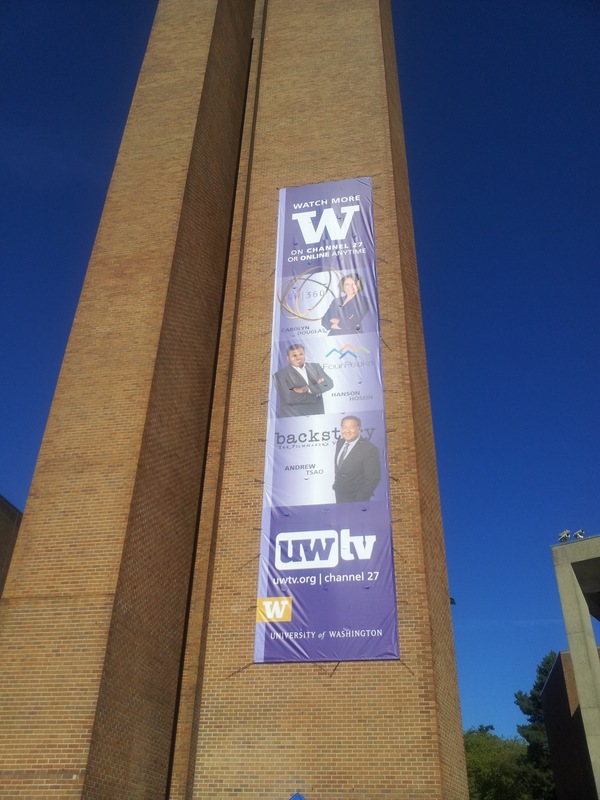 This both promotes the MCDM, as well as our UWTV Four Peaks show, which will begin airing on NWCN in a Sunday primetime slot as of November 10th. It also adds substantively to our curriculum as we build digital content and “second screen” experiences in our production studio class for the show. Seattle Magazine recently profiled me for their feature about UWTV, The Best TV Station You’re Not Watching. – Leading a seminar in content and network syndication for agency executives (this establishes me as an expert in corporate PR & marketing and keeps me current with the latest industry challenges and thinking). – Hosting a task force conversation about the future expansion of the MCDM, as the continued evolution of our subject matter compels us to take a close look at our curriculum. Later this month, I’ll convene a group of industry leaders — attracted by our stature in the community — to advise us in a similar fashion. All of these activities always lead back to my full-time job: guiding and promoting the MCDM, as well as listening to others about what is happening in our field that we should incorporate into our own curriculum (and into my class). Even as I look at my colleagues and friends within “the Academy” who have built their reputation on their scholarly work and research, I begin to realize that my own growth, and the sustainability of our program, comes in part from my “putting myself out there.” It’s not always comfortable, it’s not always fun, but it feels absolutely necessary. I may feel a bit sheepish about my image on a large banner overlooking our campus’ Red Square (though not enough to share it here! ), but then I’m also aware that the university’s leadership see it every day, which can only be good exposure for our degree. If I help serve as an ambassador of the UW as the Director of the MCDM, then so be it. So my litmus test for self-expression and self-promotion comes down to this: can I market my cause, program or product while legitimately providing useful content to the wider community within the appropriate context of that community? If yes, then it’s worth the effort. And if it continues to build “self-brand” equity, all the better. Great post. While it may seem that self-expression is easier with all the various communication channels we have today (FB, Twitter, etc. ), it’s harder to balance authenticity and perception of your self-brand. I think if you put in the work, though, it’s definitely worth the effort. As someone on the receiving end of the MCDM content, I can speak to the effectiveness it has on building excitement about the program. Whether it be following a hash tag conversation on twitter, student/faculty blog posts, or reading Storyteller Uprising, I’ve discovered a strong desire to find more, and I’m always excited whe I come across something new that helps fill in a piece of the MCDM story. This process has been far more effective than reading about a program through an admissions brochure. Looking forward to the opportunity to learn more about the exciting things you have coming up.